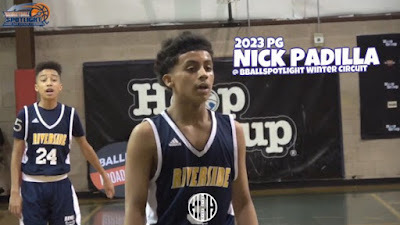 BASKETBALL SPOTLIGHT NEWS: Clash For The Cup Highlights: "Slick" Nick Sizzles At Clash! Clash For The Cup Highlights: "Slick" Nick Sizzles At Clash! Nick Padilla has turned it on this season and showed it at the Clash For The Cup. He dazzled the crowd while helping Riverside Hawks reach the finals. Introducing “Slick” Nick Padilla. Check out his highlights and stay tuned because we have more coverage to come.